Old Windsor Parish Church on Easter Sunday 2013Although I grew up in Old Windsor, I rarely visited the drinking establishments there, of which there are six. On my most recent visit, I decided to find out what went on behind the doors of Old Windsor’s pubs. 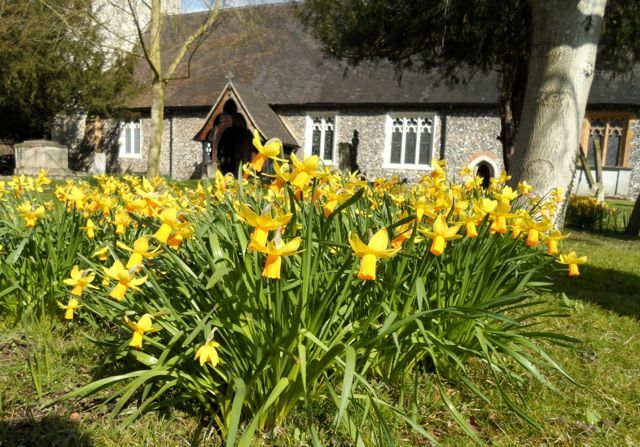 Old Windsor is a village of 5,000 people with one recreation ground, one youth center, three hairdressers, four convenience stores, one restaurant, two takeaways, three churches, five pubs, and one members' club. 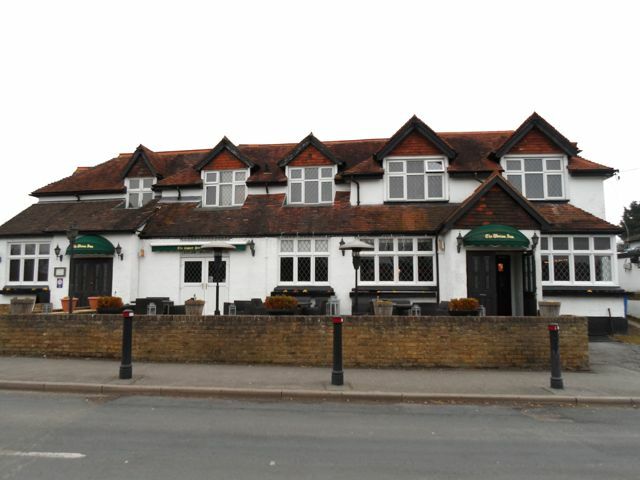 My first stop was the Harvester, a popular chain, on the site of The Bells of Ouzely, the oldest pub in Old Windsor. The Bells of Ouzely was built in 1300 and used to supply beer to Windsor Castle. Apparently, six bells, which all had names like Douce and Hauteeter, were being moved from Osney Abbey by monks, and were sunk in the Thames River across the road and that’s how the pub got its name. The Fox and Castle, Old WindsorMy next stop was the Fox and Castle. Bar persons, Charlotte and Tony, told me the original location was across the road and its original name was the Fox and Punchbowl. The green in front of the pub used to be a pond. The most popular item on their menu is pork belly, which Charlotte loves also. 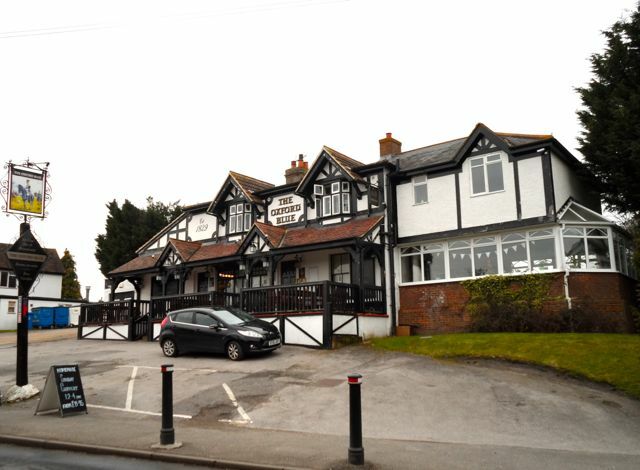 Owner, Mandy, took over The Oxford Blue on Crimp Hill, a year ago. The bar is cozy and spacious with a big garden and playing area out back. On April 5th, a Rod Stewart tribute singer will entertain customers. 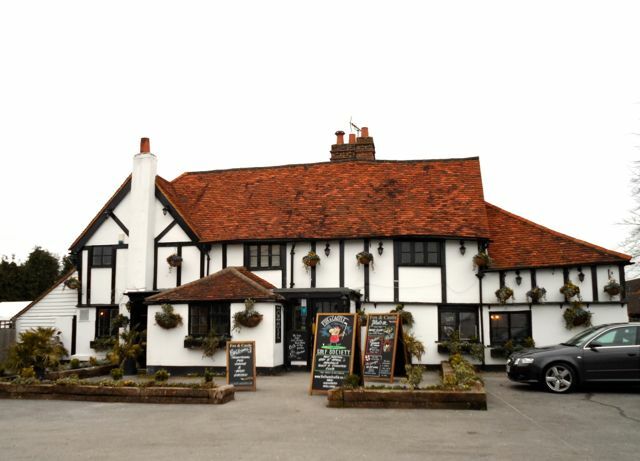 In June, Mandy will hold an Elton John party with chairs set out in front of the pub, so customers can watch celebrities pass by on their way to Elton John’s White Tie and Tiara Ball. Right next door is the Union Inn, a restaurant bar and boutique inn. The manager’s phone was ringing off the hook while I tried to squeeze in a few questions, and a circle of old regulars chatted in a corner. There are several signed photographs of Elton John on the wall. 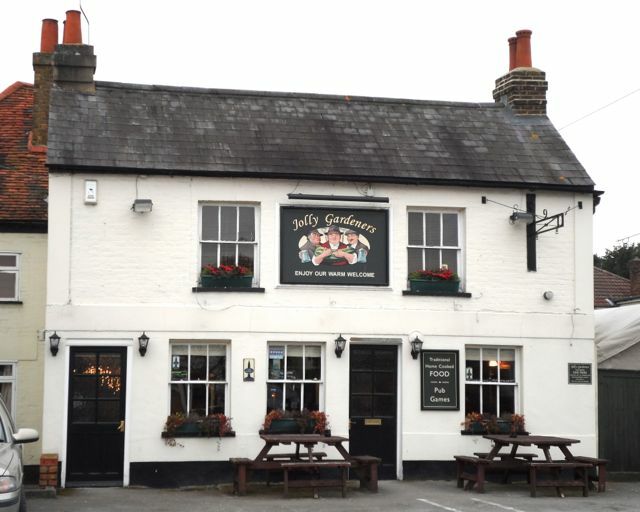 The Jolly Gardeners has a friendly and quaint exterior, and a comfy interior. They have been included in the Good Beer Guide five years in a row, and welcome dogs and families. But I didn't learn much about the pub on my visit there. "You'd best come back when the manager is here," said the barperson, "John." Next I stopped at the Old Windsor Club. It costs £20 per year to join, but guests are welcome. Fosters, incidentally, is the most popular beer in Old Windsor and vodka is the most popular spirit, straight or with coke. 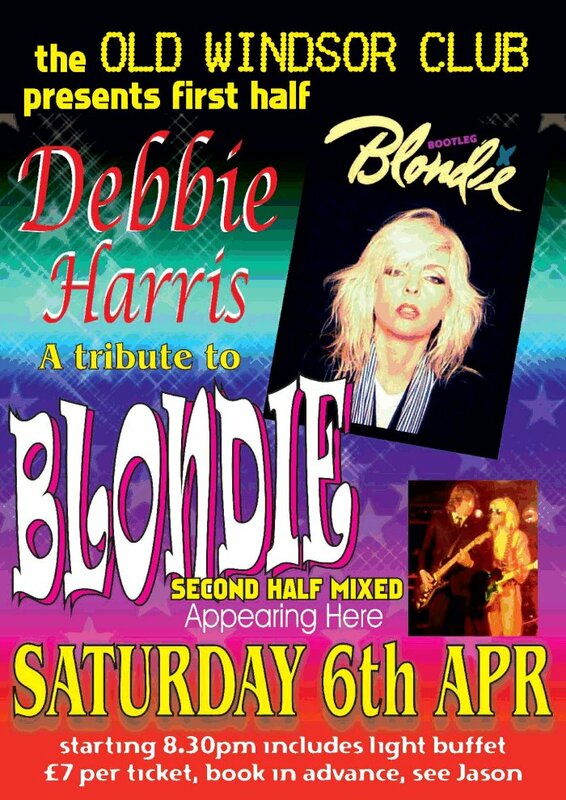 The Old Windsor Club has a snooker room and a social hall that they use for events such as the Blondie tribute singer booked for April 6th. 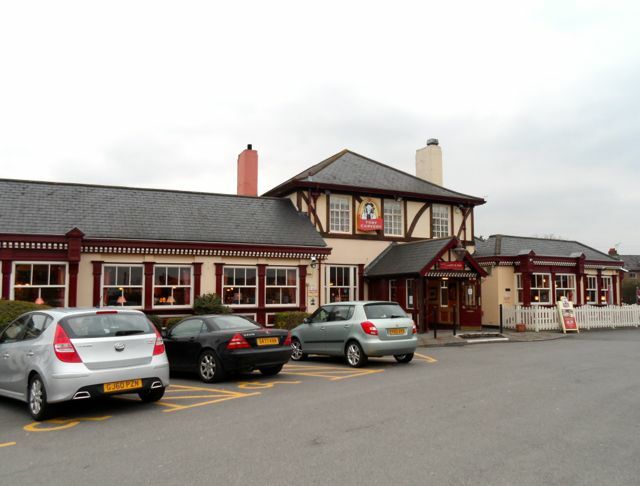 The Toby Carvery on Straight Road also houses the Innkeepers Lodge. The Carvery menu with unlimited vegetables, roasties and mash is very popular. Two travelling workers told me the drink prices were great, especially for the area. 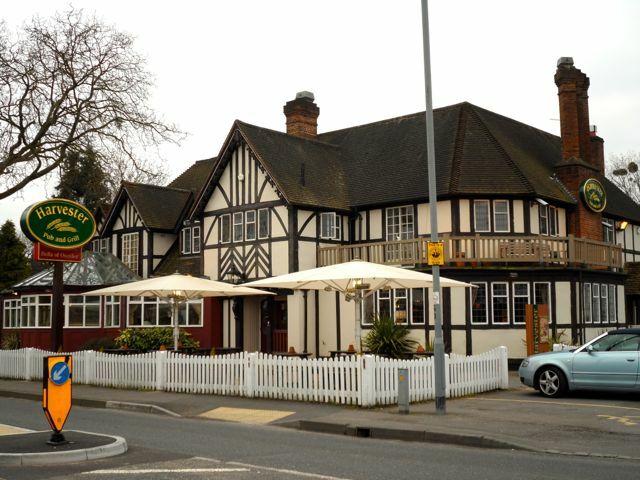 Old Windsor pubs seem to be mostly occupied by families or men out with their mates. I did see a few single ladies on my way home, in the Old Windsor Fish shop. 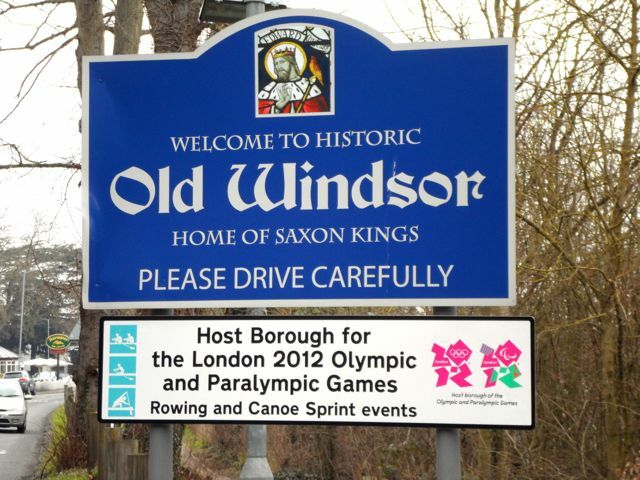 So those are the drinking establishments of Old Windsor, home of Saxon Kings.